Feverfew (Tanacetum parthenium), is an herb native to the Balkans , and is supplemented for its ability to help prevent migraines. Traditionally feverfew was used for the treatment of fevers, headaches, stomach aches, insect bites, menstruation problems, and as an anti-inflammatory. Today, feverfew is primarily supplemented for its ability to help prevent migraine headaches. 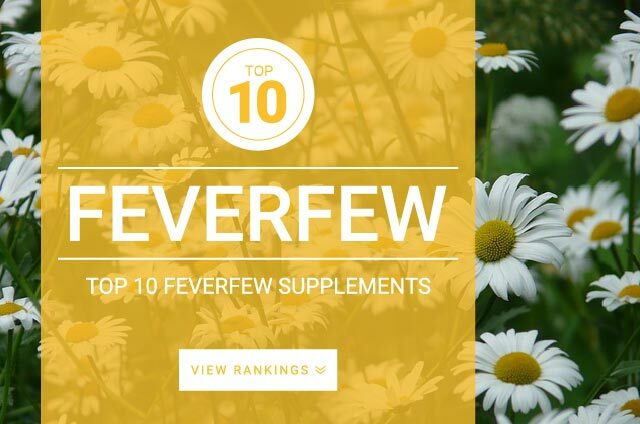 Feverfew is also sometimes recommended to help alleviate arthritis and inflammation in joints. Research shows that feverfew can be supplemented to help prevent migraines so daily supplementation is recommended. There is still limited research on feverfews ability treatment for migraines. The standard dose recommended for Feverfew is 100 mg – 300 mg containing a concentration of 0.2%-0.4% parthenolides per serving.